I had spent the morning with the celebrated Walter Kitundu and for the afternoon, we had Water Ousels in mind. 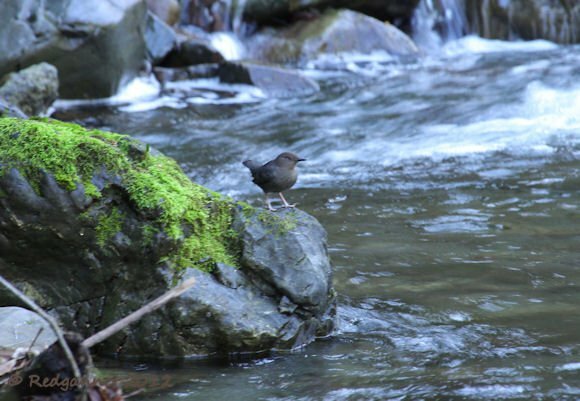 Our plan was to head to a known dipper river and sit with a picnic until a bird happened by. It was a brilliant plan, except for the picnic. If you are ever tempted to buy a Chicken Burrito from Steven’s Creek Liquor, Video and Food Market, resist the urge and go hungry for preference. The name of the store suggested the priority placed on each commodity and should have been a warning. 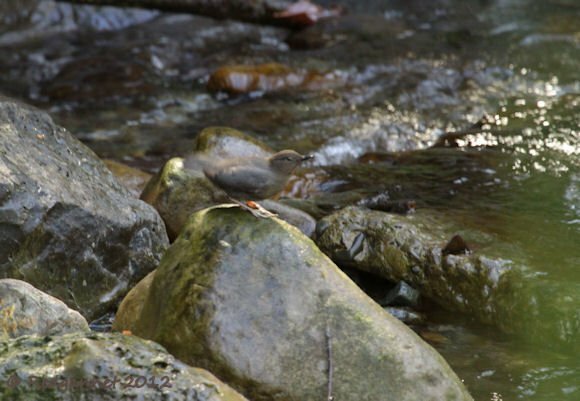 The American Dipper however was a tasty treat which showed up very shortly after my stomach’s first attempt to reject lunch. We didn’t see it coming, but suddenly it was there, bobbing just as its European counterpart might, on a mossy rock just above the flow of water. The stream was in deep shade which made a good picture unlikely, but we clicked away merrily just the same. It flew off upstream once it saw us and we followed it, catching a couple of glimpses before it took off again. Walter had heard of it from his friend’s blog where it was recorded singing under the bridge. The stream passes under the road at the bridge and the dipper followed it out into the sunshine. We were about to leave it be as it was obviously a sensitive bird and we were concerned that we might unsettle it, but a sunlit shot was too much to resist and we decided to have one more try. Walter waited just below the bridge and I stalked slowly downstream. 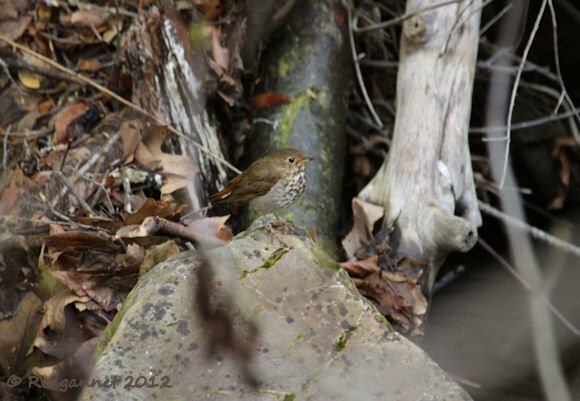 A bobbing tail caught my attention, but it was a Hermit Thrush on a rock in the river. I returned to Walter who had been trying to catch my attention as the dipper had come back upstream and stopped on a rock ahead of him. As we returned to the car we saw it one more time just above the bridge. Walter gallantly stepped aside to allow me to get a clear shot which brought the pictures above. In the photos I can see some light, which I swear wasn’t there when I pressed the button. Thanks to Walter for a great day out and that single gracious side step. He goes on my 10,000 Birds Contributors Life List bringing it to 5. Watch out Beats, I am coming to get you! Redgannet has been working for over 33 years as a crew member/flight attendant and enjoys the well-ventilated air of the outdoors. The nom de blog, Redgannet, was adopted to add an air of mystery and to make himself more attractive to women. His father first whetted Redguga's appetite for all things natural by buying him his first pair of 7x35s and a copy of Thorburn's Birds. Having no mentor beyond an indulgent parent, he spent the first season hoping for an Egyptian Vulture at the bird table in his English garden. His most memorable birding moment is seeing an Egyptian Vulture with those same binoculars 26 years later. Redgannet is married to Canon, but his heart and half of his house belongs to Helen and their son Joseph. He is looking forward to communicating with people who don't ask if he is searching for the "feathered variety" of bird. Nice photos and story! 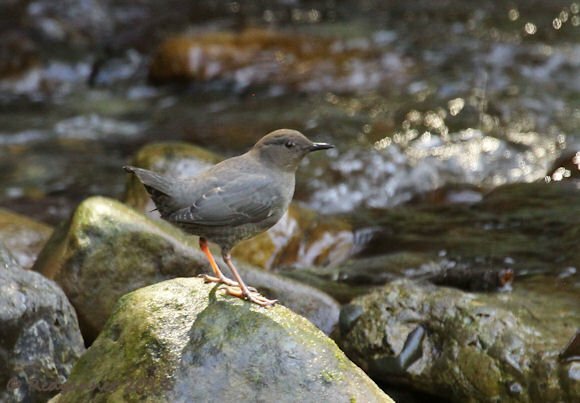 I’ve only seen an American Dipper once, and they are lovely birds. 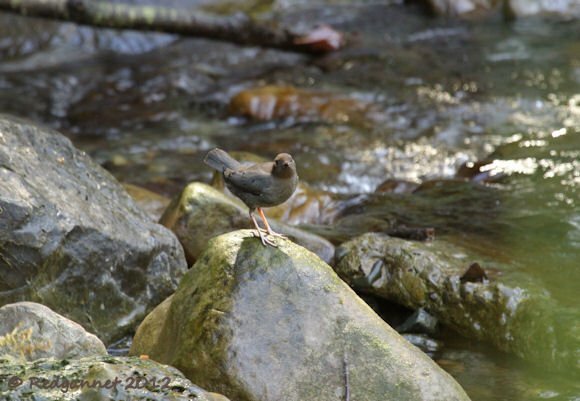 You have spotlighted one of my all time favorite birds, not only because of the name (and no I don’t mean American Dipper) but because of their behavior. 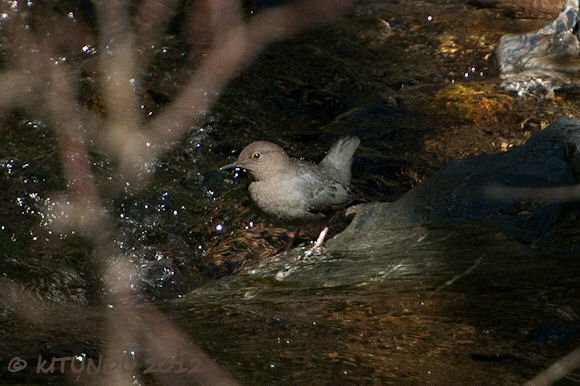 How many birds do you know that can walk upstream on the bottom of a freezing, raging river? I am lucky that I get to see them nearly every year at Lassen National Park when our Audubon chapter holds our yearly campout there. Besides, just saying the name “Water Ouzel” has to put a big fat smile on your face 😀 Thanks Redgannet!